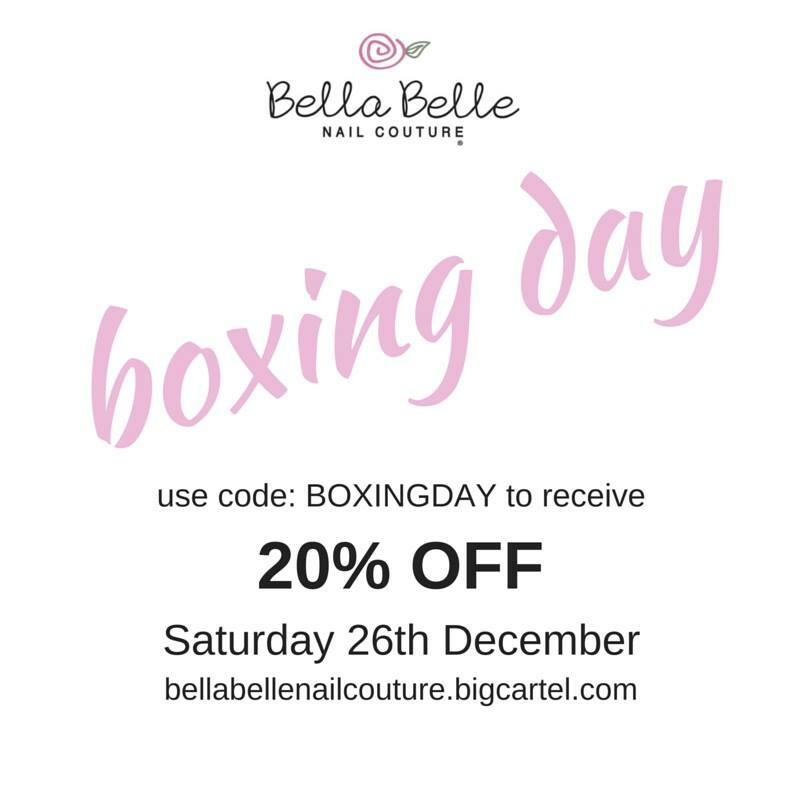 It's creeping ever so close to Christmas, which means it's also almost time for Boxing Day sales! For those of you unfamiliar with the concept of Boxing Day, it's a tradition in Australia (and some other countries) where shopping centres - and now online stores - have massive post-Xmas sales which often sees customers in fist fights over who gets the last GHD straightener at 65% discount. OK so maybe it's nothing to do with physical violence, but it's essentially our version of Black Friday sales and it's kind of a big deal. Because I know you all love a polish sale, I'm listing all the Aussie Indie Boxing Day sales in one handy place to do my duty as an A+ enabler. Just don't blame me when your credit card bill arrives, k? 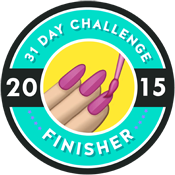 Arcane Lacquer are clearing out in preparation for a big 2016, which means up to 50% off a huge selection of polish. Check out the list of discontinued shades - it's huge! :sadface: Sale starts 9am AEDT 26/12 and runs until 31/12. Orders are also open to the US and Canada for the sale period with shipping to commence mid-January. Aussie orders will ship as normal. Bella Belle Nail Couture are having 20% off storewide with the code BOXINGDAY. They've recently made the move from Etsy to BigCartel, so make sure you head to bellabellenailcouture.bigcartel.com on December 26! Grace-full Nail Polish have a whole load on offer for Boxing Day, including a sample sale of small batch polishes and various % off discounts on the existing range. Sample shade previews are already available at gracefullnailpolish.com. 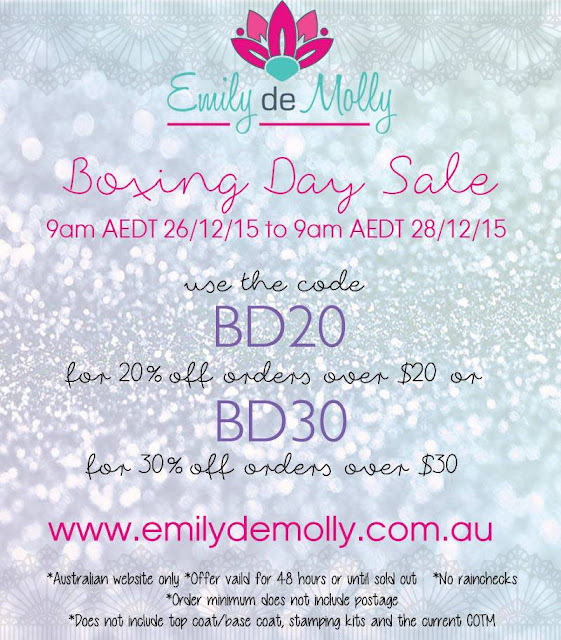 Sale runs from 26/12/15 - 2/1/16, with items to start shipping on 5/1/16. 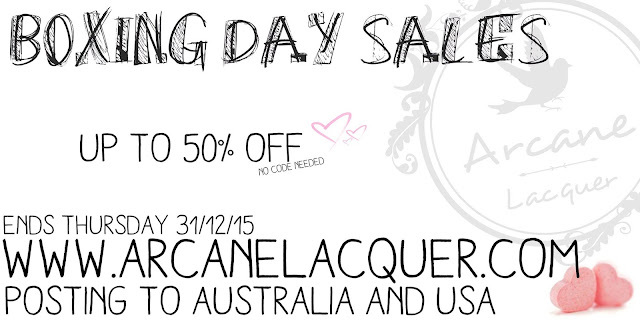 International customers, you are in luck - you will be able to purchase in this sale! 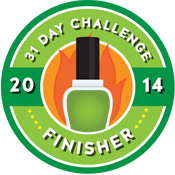 Mckfresh Nail Attire are offering 30% off all orders over $25 with the code MCKMERRY on checkout. There are also four awesomely sparkly New Years shades being released - check them out on Snapchat at mckfresh_nails (in the Stories section)! 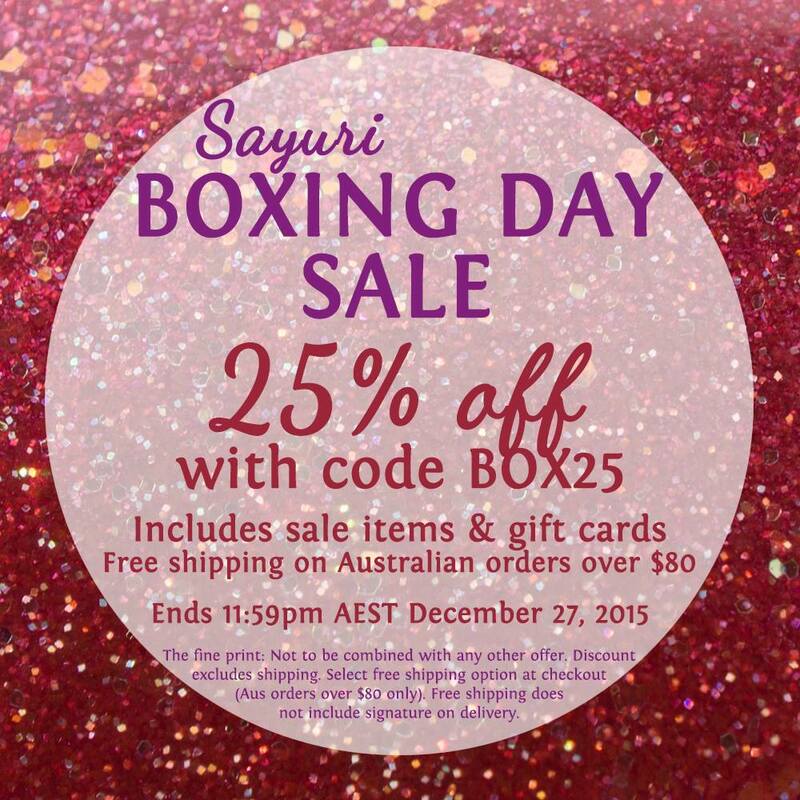 Sayuri are giving you 25% your order with code BOX25 for 48 hours from midnight 26/12 - 11:59pm AEST 27/12.Australian orders over $80 will have the option of FREE SHIPPING, select the option on checkout. International customers, email Anthea at info@sayurinaillacquer.com for a shipping quote - there is a minimum order of 10 bottles, but you can always group buy if needed! Tatty Mule Nail Paints will be having 20% off storewide with the code BOXING20 - great opportunity to check out a new brand if you haven't already! (I am guilty of this) Find Tatty Mule on Etsy! These stores will be closed over the holidays, but will be having reopening sales. I'll update with details once confirmed. 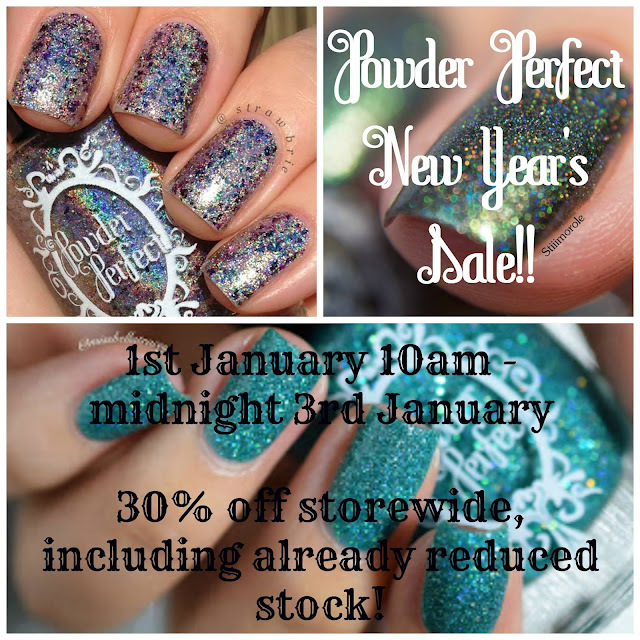 Powder Perfect will have 30% off storewide, including on already discounted items!! Sale begins at 10am AEST 1/1/16, so don't max out the credit card on New Year's Eve, k? Final end note for the non-Aussies, remember that all these sales are on AEDT or AEST, head to timeanddate.com for an easy time conversion if you don't want to miss out. Have you heard of any other sales? Let me know in the comments and I'll continue to update this guide as information comes in.